Wedding Paper Divas offers a wide range of products and services at incredibly low prices in Australia. These Wedding Paper Divas promo codes expire soon, so don’t forget to bookmark this page now. Wedding Paper Divas free delivery offer: Order wedding invitations, personalized postage & much more from Wedding Paper Divas and receive free shipping. Up To 20% Off Thank You Cards! 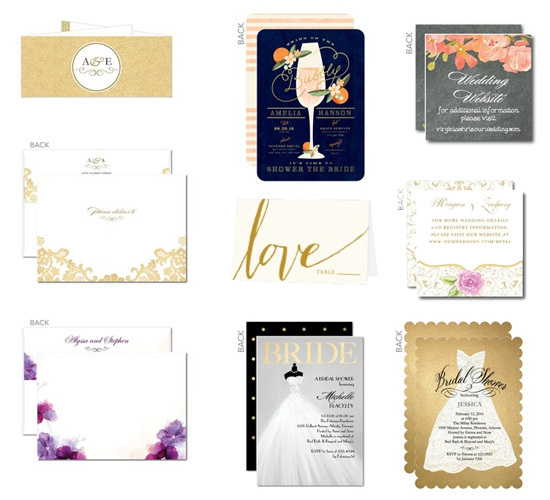 Limited time Wedding Paper Divas coupon: Take advantage of this great offer from Wedding Paper Divas and save up to 20% on Thank You Cards! Up To 20% Off Save the Dates! Exclusive Wedding Paper Divas voucher codes: Order from a extensive range of Save the Dates for $99 or more and get up to 20% off. Latest Wedding Paper Divas promo code: Choose from a wide range of party invitation worth $49 or more and get 15% off your purchase. Seasonal Wedding Paper Divas deal & sale: Use this voucher code and receive a free wedding invitation sample kit at Wedding Paper Divas. One of the things that you have to think about when it comes to your wedding is your invitations, as this is one type of wedding stationery that plays a key part in the proceedings. Wedding invitations can set the tone for your wedding and many people including the happy couple keep them as souvenirs of the big day, which is why making the right choice is so important. At Wedding Paper Divas you can choose from a wide range of invitation options to suit your needs with invites that will reflect your personality, theme and your unique tastes. In addition to the wedding invitations you can also get a range of other vital stationery such as save the date stationery, bridal shower invitations, engagement invitations, thank you stationery and much more. The vibrant and colourful website is packed with information and makes finding the ideal wedding stationery simple and convenient. Latest offers: The latest offers section of this site provides you with the perfect way to get some great deals and offers on a range of stationery and related products for your wedding and other similar occasions. Sign up: When you sign up to the site as a member you can get exclusive access to special deals and offers as well as news, information and emails about new products so you are always up to date. At present they offer $20 off your next order. Refer a friend: At Wedding Paper Divas you can refer your friend and enjoy great reward offer. Your friend will receive 25% discount on their first order. You will get $20 discount for referring your friend. Free samples: When it comes to an occasion as important as this, it is only natural that you want everything to be just right. This is why the free sample kit from this company can prove so invaluable, as it means that you can get the perfect finish for your all important wedding invitations to ensure they provide the ideal finishing touch for your big day. Wedding invitations: including vintage, modern, whimsical, classic, formal, rustic, laser cut, foil stamped, and many others. Save the dates: stationery and products, including cards, postcards, coaster, magnets, and other products. Shower & party: such as bridal shower, rehearsal dinner, engagement party, bachelorette party, post wedding brunch, anniversary party and vow renewal. Ceremony & reception: including programs, place cards, table number cards, menus, napkins, coasters, mini cards and advice cards. Cards: Thank you cards & personalised stationery. If you are looking to customise logo or design for your business; Vistaprint offers excellent design service to suit your requirement. It offers wide range of business stationery that suits every budget. Favors & gifts: including keepsakes, canvas art, wedding photo albums, personalised gifts, frames, mini cards and more. Featured designers: you will find a collection of stationery designs by famous stationery designers like Petite Alma, Jill Smith & more. Add the products you wish to purchase to your online shopping cart. When you are ready, go to your cart to view and checkout. Enter the discount code in the space provided in order to apply. Carry on with the checkout process and enjoy a great deal. You will find informative videos on wedding arrangement, how to choose the best wedding invitation and more by visiting the Wedding Paper Divas YouTube channel. Watch this video and learn on how to make easy DIY wedding invitations by Brianne Connolly. You may have questions or queries and therefore may wish to contact a member of the customer services team at Wedding Paper Divas. If you wish to speak to someone, you can contact the team in various ways. You can get in touch via one of the social networking sites that the retailer uses, phone and speak to someone, use the live chat facility on the site, or use the email link on the website. Planning a wedding can be a difficult process but the inspiration and resources section on this site can prove invaluable. When you go to this section you can benefit from access to everything from wedding planning guides and access to invitation samples through to details of wedding websites, etiquette tips, wedding colour guides and much more. Delivery cost depends on the product you choose. Various delivery options are available with different turnaround times and cost. Also for personalized gift delivery option varies. International delivery is offered & price is based on the country you are living. There may be situation where you won’t like the product after purchasing it or if there is any damage in it. You can return the product by using the form available at the site and obtain full refund.